Brad Ottinger is the Vice President, General Counsel, Chief Administrative Officer, Secretary of MicroPort Orthopedics Inc. and a member of IEC since March 2016. He joined MicroPort Orthopedics Inc. as Associate General Counsel in January of 2014 and subsequently served as Vice President, General Counsel, Legal and Human Resources. Brad came to MicroPort Orthopedics Inc. from Buckeye Technologies Inc., where, as Associate General Counsel, he provided a breadth of legal services to the enterprise, with a primary focus on corporate transactions. 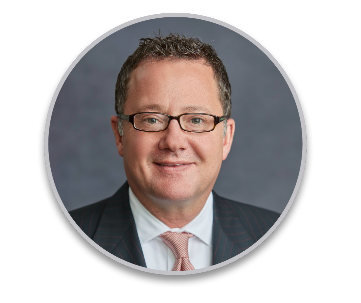 Prior to joining Buckeye, Brad concentrated his practice in the area of securities law and corporate transactions with both an international and domestic focus and used that foundation to develop expertise in corporate compliance and ethics. Brad is a Certified Compliance and Ethics Professional. Brad received his B.A. in Communications from the Pennsylvania State University in 1991. After completing his undergraduate degree, he attended Vanderbilt University and received an M.Ed in 1993. 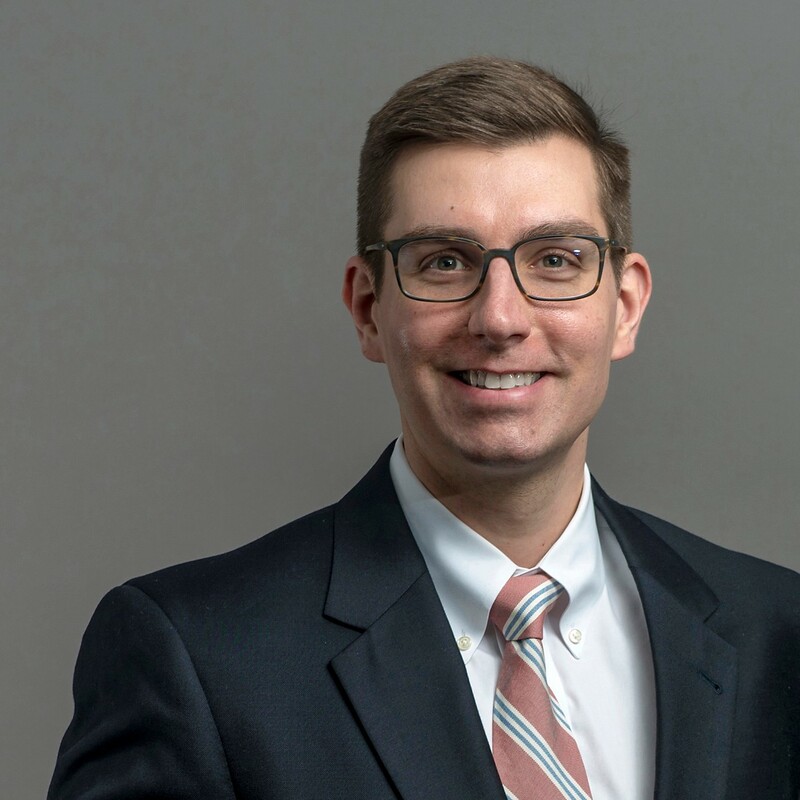 Prior to attending law school, Brad worked at First Tennessee Bank, delivering management development programs and managing the succession planning process. He later worked with Andersen Consulting as a Change Management Consultant. He received his J.D. from Washington University in St. Louis, Missouri in 2002. Before joining Buckeye Technologies Inc., Brad was Of Counsel with Baker, Donelson, Bearman, Caldwell & Berkowitz, PC and associated with Bass, Berry & Sims, PLC in Memphis and Hunton & Williams LLP in Richmond, Virginia. Brad is pleased to serve as the 2019 Chair for the Memphis Walk to Cure Arthritis. His role with MicroPort has exposed him to the disease of arthritis and he is committed to helping patients live a better quality of life through the work of the Arthritis Foundation. To support Brad, or join his team, visit his fundraising page. Dr. Wodowski is a fellowship-trained orthopedic surgeon practicing at OrthoSouth, specializing in adult hip and knee reconstruction and arthritis surgery. He has completed special training in hip and knee disorders and their treatment, primarily hip and knee replacement (arthroplasty) and revision hip and knee replacement. In addition, Dr. Wodowski has received special training in anterior total hip arthoplasty, posterolateral total hip arthroplasty, and knee arthroplasty. Dr. Wodowski is a member of the American Academy of Orthopedic Surgeons (AAOS),American Association of Hip and Knee Surgeons (AAHKS). A member of the prestigious Alpha Omega Alpha honor medical society, as well as the Gold Humanism honor society, Dr. Wodowski attended medical school at the University of Tennessee, Memphis, completed his Fellowship in Adult Hip and Knee Reconstruction at the University of Utah, and his residency at the University of Tennessee. In his spare time, Dr. Wodowski enjoys relaxing with his wife Brittany and their twin daughters, Evelyn and Emery, and another baby on the way. An Eagle Scout with Troop 87 in Germantown, he also enjoys skiing, ice hockey, golf and running. His hobbies include playing the drum set and guitar. Dr. Wodowski chose to accept the role of Medical Honoree because this year’s patient honoree is afflicted with osteoarthritis, which is something he treats daily. He wants to advance the knowledge and understanding of the disease and help to work towards a cure. With the Arthritis Foundation, Dr. Wodowski can achieve these goals and allow people with various forms of arthritis to live a more functional and active life. To join Dr. Wodowski's team, or to make a donation, visit ORTHOSOUTH's team page. Linda is a very active grandmother. Her daily activities include interaction with people and delights in the opportunity to serve her community as a police radio dispatcher. She enjoys ministry work, family vacations, painting, and other fun-filled activities. Linda was living her normal busy life, until one morning life changed and she had no idea what was happening. Imagine waking up in the morning and sitting back down on the bed as soon as you stand because your legs can’t immediately support you and your ankles are stiff and feel frozen. During an office visit with her primary care physician, x-rays and blood tests revealed a couple of possibilities and she was referred to a rheumatologist. After further examination by a rheumatologist, she was diagnosed with osteoarthritis and discussed several options for treatment. Osteoarthritis is also referred to as wear-and-tear arthritis with symptoms that are gradual and the disease progresses slowly over the years. It causes pain, swelling, stiffness, and limits range of motion in the affected joint. Although the cause of osteoarthritis is not known, the sooner the disease is confirmed, the sooner treatment can begin. Through the Arthritis Foundation, Linda found the information and resources needed to better understand arthritis and developed strategies for managing the disease. Since being diagnosed in 2017, she has learned lifestyle modifications that are effective in managing the pain, swelling, and stiffness. She and her family participated in their very first Walk to Cure Arthritis in 2018 where she was awarded as one of the top fundraisers. Linda is the osteoarthritis adult honoree for this year’s Walk to Cure Arthritis, Memphis. Through her involvement she hopes to show that life is affected but not defined by osteoarthritis. She has increased her fundraising goal for 2019 to support research for all types of arthritis aimed at finding a cure. To join Linda's team, or to make a donation, visit Team Linda's team page. Hailey Camp, daughter of Gordon and Jessica Camp, was diagnosed at the age of 2, two weeks before her third birthday. They were having a really hard time figuring out what was going on with her because she wasn’t walking and cried all night in pain. Jessica continued to take her to her primary care doctor, but was told “it was growing pains.” Jessica would give her Tylenol to help with the pain, but it didn’t seem to work. One night, Hailey was crying so bad and had a high fever. 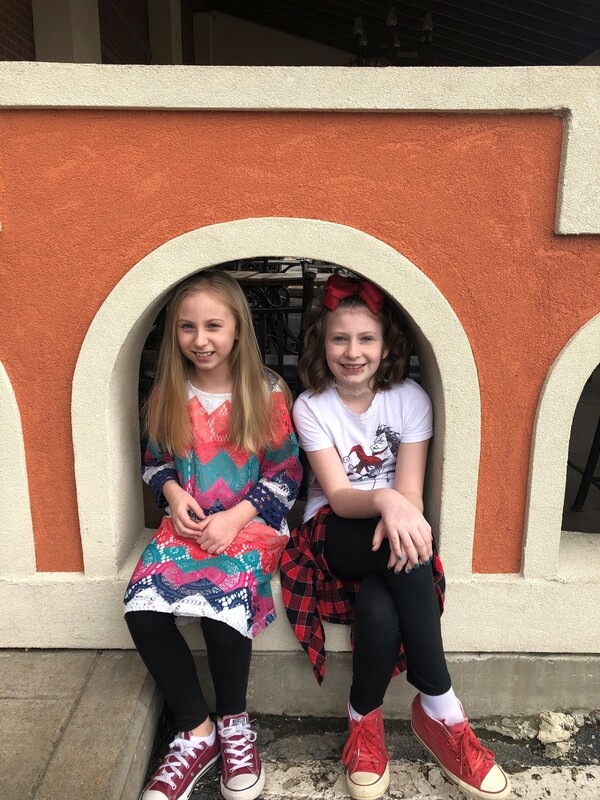 When she helped her daughter up, Jessica noticed both knees were the size of softballs, so she rushed her the hospital, which is where Bradyn received her diagnosis. Hailey’s parents were in shock to hear a toddler could have JRA. She was put on Naproxen. They later learned Hailey also suffered with anxiety do to all the pain she has endured. She was also recently diagnosed with malicious malalignment which is causing her additional joint pain because everything below her hips is out of alignment. Hailey is on indomethacin and is 10 years old and going strong. She is a very determined little girl, and nothing slows her down. Bradyn Lorimer, daughter of Patrick and Michelle Lorimer, was diagnosed with JIA and Uveitis in 2013 at the age of three (3). Within a few months of her diagnosis she was almost to the point of being crippled. She could not walk on her own without extreme pain and was carried or scooted wherever she went. She has endured many medications, a few procedures and tons of doctor appointments in her short years of life. Her road has been a long one and still has its occasional challenges. Today, Bradyn is a healthy, happy and very active child. Her arthritis has progressed to most all her joints, but it is controlled with monthly infusions and her eyes show no inflammation!! To look at her you would never know she has JIA. In fact, most people don’t even know she has JIA. Her parents have told her there is nothing “wrong” with her, because they don’t see or treat this as a handicap. They know God will use her illness to reach, be an example and light to others. She is very active in church, with her friends and plays competitive volleyball with her big sister Fallyn and girls at least three years her senior and some twice her age! Bradyn's little body may be older than her chronological age, and her path is challenging. 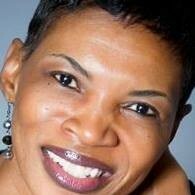 However, she is a profound example of Joshua 1:9 "Have I not commanded you? Be strong and courageous. Do not be afraid; do not be discouraged, for the LORD your GOD will be with yuou wherever you go." THANK YOU FOR SUPPORTING THE ARTHRITIS FOUNDATION!